There are many reasons a lease might end before its specified date, and not all reasons are due to the action or inaction of the tenant. If you’re selling your house with ‘vacant possession’, you’re going to need to ensure there are no tenants occupying the property at settlement. Similarly, if you need to carry out immediate extensive repairs and works to the property, or are being foreclosed upon, you might need to end the lease. Knowing the reason for ending your lease is important. It sets the stage for the type and period of notice that you’re required to give the tenant to start the eviction process. 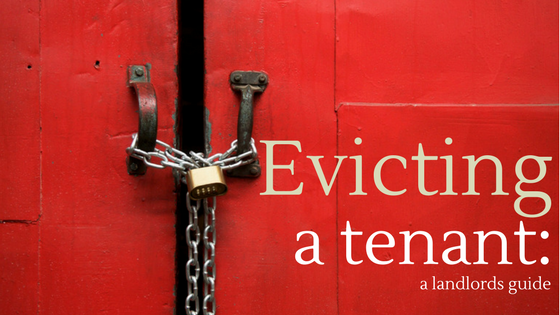 To end the lease, you need to provide the tenant with a termination notice. The notice must be in writing, dated, addressed to the tenant(s) and signed by the landlord. It should also give a reason for the termination. In other words, the key to a good termination notice is clarity. Let the tenant know when you expect to have vacant possession of the property. And be sure to keep a copy of this notice for your records. A common reason for evicting a tenant is nonpayment of rent. In this situation, the landlord generally must give the tenant notice of ending the lease for nonpayment after allowing the requisite time to lapse for rent to be paid. In New South Wales, this time period is 14 days. You cannot issue termination notices before this time. In this case, the notice is only the first step. You’ll then need to apply for a court order to terminate the lease for nonpayment of rent. Simply changing the locks without a court order is not only unfair, but also illegal. You could face a fine of as much as $22,000, so it pays to follow the rules. Keeping a paper trail is important, too, as is helps paint the picture of the steps the landlord has taken to comply with the lease and enforce it against the tenant. Notice periods depend on the type and nature of the lease. For residential properties in New South Wales under a fixed-term lease, tenants generally require at least 30 days’ notice. If, however, the tenant is in breach of the lease agreement (for example, through nonpayment of rent), the notice period is 14 days. Sometimes a lease can roll over to a new period that hasn’t been specified as fixed by the parties. This is known as a month-to-month lease, or a tenancy at will. When neither party has taken any steps to end the lease after the fixed period and the landlord suddenly wishes to do so, tenants need a longer termination notice – 90 days in NSW. It can be daunting to follow a procedure for termination and eviction, but failing to do so could mean having your tenant take you before a tenancy tribunal or court, where the governing body may order you to compensate the tenant. Courts and tribunals take tenant rights seriously, so it helps to be clear about the entire process you’re set to embark on before you start. There are tonnes of fact sheets on the internet relevant to each state and territory to assist landlords in navigating the procedures. It also pays to read the lease agreement thoroughly and speak with your agent or legal adviser. This way, you can help ensure that the steps you ultimately take to evict your tenant are the right ones. Click here for more information on property management or call 1300 130 998.